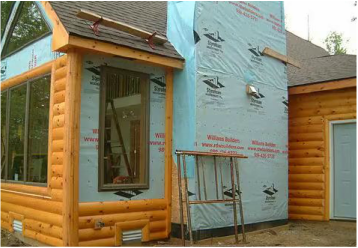 Williams Builders can help you with the inevitable task of every long-term homeowner: window or siding replacement. 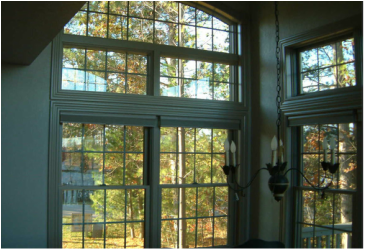 With all the improvements in window & siding technology and new styles and colors, you can achieve greater energy efficiency, easier maintenance, as well as improving the beauty and appearance of your home. 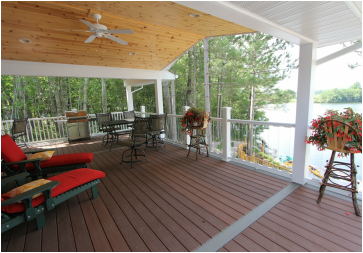 Bob Williams offers a wide range of design and remodeling services for existing homes and office buildings. 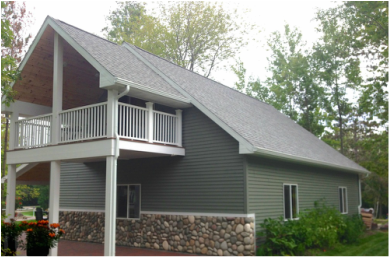 Williams can help you choose the perfect replacement..
Or, new maintenance free composite or vinyl siding or beautiful log siding. 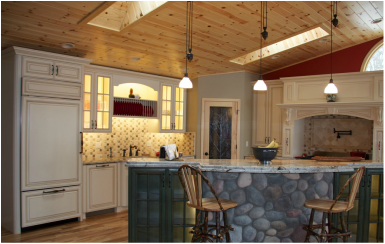 We can design, fabricate and install custom cabinetry and furniture to accent and furnish your home in our custom woodworking shop. 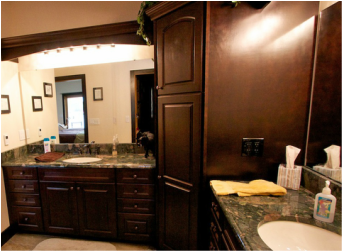 Thinking about updating your bathroom? Williams can help make your ideas come alive. Today, due to advances in technology many of our customers are bringing the indoors out, creating outdoor spaces as stylish as the ones you love inside! Bob can help you plan and build your new addition, garage or pole barn for storage, a workshop or your collector car. Follow the progress of one homeowner's remodeling project below. This video shows the before and after of a remodel of a ranch built in 1995. The original home had two master suites, 1 up and 1 down with a third bedroom down, a kitchen and two car garage. Taking slightly less than 10 months the home was enlarged for the new state of the art kitchen, additional sleeping accommodations, a new recreational room with full bar, a heated three car garage and an expansive new covered deck.